Anticonvulsants (also commonly known as antiepileptic drugs or as antiseizure drugs) are a diverse group of pharmacological agents used in the treatment of epileptic seizures. Anticonvulsants are also increasingly being used in the treatment of bipolar disorder and borderline personality disorder, since many seem to act as mood stabilizers, and for the treatment of neuropathic pain. Anticonvulsants suppress the excessive rapid firing of neurons during seizures. Anticonvulsants also prevent the spread of the seizure within the brain. Conventional antiepileptic drugs may block sodium channels or enhance γ-aminobutyric acid (GABA) function. Several antiepileptic drugs have multiple or uncertain mechanisms of action. Next to the voltage-gated sodium channels and components of the GABA system, their targets include GABAA receptors, the GAT-1 GABA transporter, and GABA transaminase. Additional targets include voltage-gated calcium channels, SV2A, and α2δ. By blocking sodium or calcium channels, antiepileptic drugs reduce the release of excitatory glutamate, whose release is considered to be elevated in epilepsy, but also that of GABA. This is probably a side effect or even the actual mechanism of action for some antiepileptic drugs, since GABA can itself, directly or indirectly, act proconvulsively. Another potential target of antiepileptic drugs is the peroxisome proliferator-activated receptor alpha. The drug class was the 5th-best-selling in the US in 2007. Some anticonvulsants have shown antiepileptogenic effects in animal models of epilepsy. That is, they either prevent the development of epilepsy or can halt or reverse the progression of epilepsy. However, no drug has been shown in human trials to prevent epileptogenesis (the development of epilepsy in an individual at risk, such as after a head injury). Anticonvulsants are more accurately called antiepileptic drugs (abbreviated “AEDs”), and are often referred to as antiseizure drugs because they provide symptomatic treatment only and have not been demonstrated to alter the course of epilepsy. The usual method of achieving approval for a drug is to show it is effective when compared against placebo, or that it is more effective than an existing drug. In monotherapy (where only one drug is taken) it is considered unethical by most to conduct a trial with placebo on a new drug of uncertain efficacy. This is because untreated epilepsy leaves the patient at significant risk of death. Therefore, almost all new epilepsy drugs are initially approved only as adjunctive (add-on) therapies. Patients whose epilepsy is currently uncontrolled by their medication (i.e., it is refractory to treatment) are selected to see if supplementing the medication with the new drug leads to an improvement in seizure control. Any reduction in the frequency of seizures is compared against a placebo. The lack of superiority over existing treatment, combined with lacking placebo-controlled trials, means that few modern drugs have earned FDA approval as initial monotherapy. In contrast, Europe only requires equivalence to existing treatments, and has approved many more. Despite their lack of FDA approval, the American Academy of Neurology and the American Epilepsy Society still recommend a number of these new drugs as initial monotherapy. In the following list, the dates in parentheses are the earliest approved use of the drug. Paraldehyde (1882). One of the earliest anticonvulsants. It is still used to treat status epilepticus, particularly where there are no resuscitation facilities. Stiripentol (2001 – limited availability). Indicated for the treatment of Dravet syndrome. Phenobarbital (1912). See also the related drug primidone. Barbexaclone (1982). Only available in some European countries. Phenobarbital was the main anticonvulsant from 1912 until the development of phenytoin in 1938. Today, phenobarbital is rarely used to treat epilepsy in new patients since there are other effective drugs that are less sedating. Phenobarbital sodium injection can be used to stop acute convulsions or status epilepticus, but a benzodiazepine such as lorazepam, diazepam or midazolam is usually tried first. Other barbiturates only have an anticonvulsant effect at anaesthetic doses. Clobazam (1979). Notably used on a short-term basis around menstruation in women with catamenial epilepsy. Diazepam (1963). Can be given rectally by trained care-givers. Midazolam (N/A). Increasingly being used as an alternative to diazepam. This water-soluble drug is squirted into the side of the mouth but not swallowed. It is rapidly absorbed by the buccal mucosa. Lorazepam (1972). Given by injection in hospital. Nitrazepam, temazepam, and especially nimetazepam are powerful anticonvulsant agents, however their use is rare due to an increased incidence of side effects and strong sedative and motor-impairing properties. Potassium bromide (1857). The earliest effective treatment for epilepsy. There would not be a better drug until phenobarbital in 1912. It is still used as an anticonvulsant for dogs and cats. Felbamate (1993). This effective anticonvulsant has had its usage severely restricted due to rare but life-threatening side effects. Carbamazepine (1963). A popular anticonvulsant that is available in generic formulations. Oxcarbazepine (1990). A derivative of carbamazepine that has similar efficacy but is better tolerated and is also available generically. The valproates — valproic acid, sodium valproate, and divalproex sodium (1967). Vigabatrin and progabide are also analogs of GABA. This article is about anticonvulsant drugs. For non-pharmaceutical “anticonvulsants”, see Epilepsy § Other treatment. According to guidelines by the American Academy of Neurology and American Epilepsy Society, mainly based on a major article review in 2004, patients with newly diagnosed epilepsy who require treatment can be initiated on standard anticonvulsants such as carbamazepine, phenytoin, valproic acid/valproate semisodium, phenobarbital, or on the newer anticonvulsants gabapentin, lamotrigine, oxcarbazepine or topiramate. The choice of anticonvulsants depends on individual patient characteristics. Both newer and older drugs are generally equally effective in new onset epilepsy. The newer drugs tend to have fewer side effects. For newly diagnosed partial or mixed seizures, there is evidence for using gabapentin, lamotrigine, oxcarbazepine or topiramate as monotherapy. Lamotrigine can be included in the options for children with newly diagnosed absence seizures. The first anticonvulsant was bromide, suggested in 1857 by the British gynecologist Charles Locock who used it to treat women with “hysterical epilepsy” (probably catamenial epilepsy). Bromides are effective against epilepsy, and also cause impotence, which is not related to its anti-epileptic effects. Bromide also suffered from the way it affected behaviour, introducing the idea of the ‘epileptic personality’ which was actually a result of medication. Phenobarbital was first used in 1912 for both its sedative and antiepileptic properties. By the 1930s, the development of animal models in epilepsy research led to the development of phenytoin by Tracy Putnam and H. Houston Merritt, which had the distinct advantage of treating epileptic seizures with less sedation. By the 1970s, a National Institutes of Health initiative, the Anticonvulsant Screening Program, headed by J. Kiffin Penry, served as a mechanism for drawing the interest and abilities of pharmaceutical companies in the development of new anticonvulsant medications. The following table lists anticonvulsant drugs together with the date their marketing was approved in the US, UK and France. Data for the UK and France are incomplete. In recent years, the European Medicines Agency has approved drugs throughout the European Union. Some of the drugs are no longer marketed. During pregnancy, the metabolism of several anticonvulsants is affected. There may be an increase in the clearance and resultant decrease in the blood concentration of lamotrigine, phenytoin, and to a lesser extent carbamazepine, and possibly decreases the level of levetiracetam and the active oxcarbazepine metabolite, the monohydroxy derivative. Therefore, these drugs should be monitored during use in pregnancy. Many of the common used medications, such as valproate, phenytoin, carbamazepine, phenobarbitol, gabapentin have been reported to cause increased risk of birth defects. Among anticonvulsants, levetiracetam and lamotrigine seem to carry the lowest risk of causing birth defects. The risk of untreated epilepsy is believed to be greater than the risk of adverse effects caused by these medications, necessitating continuation of antiepileptic treatment. Valproic acid, and its derivatives such as sodium valproate and divalproex sodium, causes cognitive deficit in the child, with an increased dose causing decreased intelligence quotient. On the other hand, evidence is conflicting for carbamazepine regarding any increased risk of congenital physical anomalies or neurodevelopmental disorders by intrauterine exposure. 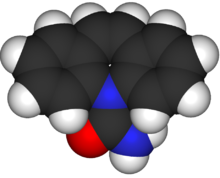 Similarly, children exposed lamotrigine or phenytoin in the womb do not seem to differ in their skills compared to those who were exposed to carbamazepine. There is inadequate evidence to determine if newborns of women with epilepsy taking anticonvulsants have a substantially increased risk of hemorrhagic disease of the newborn. Regarding breastfeeding, some anticonvulsants probably pass into breast milk in clinically significant amounts, including primidone and levetiracetam. On the other hand, valproate, phenobarbital, phenytoin, and carbamazepine probably are not transferred into breast milk in clinically important amounts. Data from studies conducted on women taking antiepileptic drugs for non-epileptic reasons, including depression and bipolar disorder, show that if high doses of the drugs are taken during the first trimester of pregnancy then there is the potential of an increased risk of congenital malformations. Pregnancy planning is being explored as a method that could decrease the risk of possible birth defects. Since the first trimester is the most susceptible period for fetal development, planning a routine antiepileptic drug dose that is safer for the first trimester could be beneficial to prevent pregnancy complications. In animal models, several anticonvulsant drugs have been demonstrated to induce neuronal apoptosis in the developing brain. ^ Keck, Jr., Paul E.; McElroy, Susan L.; Strakowski, Stephen M. (1998). “Anticonvulsants and antipsychotics in the treatment of bipolar disorder”. The Journal of Clinical Psychiatry. 59 (Suppl 6): 74–82. PMID 9674940. ^ American Psychiatric Association, and American Psychiatric Association. Work Group on Borderline Personality Disorder. Practice guideline for the treatment of patients with borderline personality disorder. American Psychiatric Pub, 2001. ^ Rogawski, Michael A.; Löscher, Wolfgang (2004). “The neurobiology of antiepileptic drugs”. Nature Reviews Neuroscience. 5 (7): 553–564. doi:10.1038/nrn1430. PMID 15208697. ^ McLean, M J; Macdonald, R L (June 1986). “Sodium valproate, but not ethosuximide, produces use- and voltage-dependent limitation of high frequency repetitive firing of action potentials of mouse central neurons in cell culture”. Journal of Pharmacology and Experimental Therapeutics. 237 (3): 1001–1011. ^ Harden, C. L. (1 May 1994). “New antiepileptic drugs”. Neurology. 44 (5): 787–95. doi:10.1212/WNL.44.5.787. PMID 8190276. ^ Rogawski MA, Löscher W (July 2004). “The neurobiology of antiepileptic drugs”. Nature Reviews Neuroscience. 5 (7): 553–64. doi:10.1038/nrn1430. PMID 15208697. ^ Rogawski MA, Bazil CW (July 2008). “New molecular targets for antiepileptic drugs: alpha(2)delta, SV2A, and K(v)7/KCNQ/M potassium channels”. Curr Neurol Neurosci Rep. 8 (4): 345–52. doi:10.1007/s11910-008-0053-7. PMC 2587091. PMID 18590620. ^ Meldrum BS, Rogawski MA (January 2007). “Molecular targets for antiepileptic drug development”. Neurotherapeutics. 4 (1): 18–61. doi:10.1016/j.nurt.2006.11.010. PMC 1852436. PMID 17199015. ^ a b Kammerer, M.; Rassner, M. P.; Freiman, T. M.; Feuerstein, T. J. (2 May 2011). “Effects of antiepileptic drugs on GABA release from rat and human neocortical synaptosomes”. Naunyn-Schmiedeberg’s Archives of Pharmacology. 384 (1): 47–57. doi:10.1007/s00210-011-0636-8. PMID 21533993. ^ Puligheddu M, Pillolla G, Melis M, Lecca S, Marrosu F, De Montis MG, et al. (2013). Charpier S, ed. “PPAR-alpha agonists as novel antiepileptic drugs: preclinical findings”. PLoS ONE. 8 (5): e64541. doi:10.1371/journal.pone.0064541. PMC 3664607. PMID 23724059. ^ Citraro R, et al. (2013). “Antiepileptic action of N-palmitoylethanolamine through CB1 and PPAR-α receptor activation in a genetic model of absence epilepsy”. Neuropharmacology. 69: 115–26. doi:10.1016/j.neuropharm.2012.11.017. PMID 23206503. ^ Porta, N.; Vallée, L.; Lecointe, C.; Bouchaert, E.; Staels, B.; Bordet, R.; Auvin, S. (2009). “Fenofibrate, a peroxisome proliferator-activated receptor-alpha agonist, exerts anticonvulsive properties”. Epilepsia. 50 (4): 943–8. doi:10.1111/j.1528-1167.2008.01901.x. PMID 19054409. ^ Lampen A, Carlberg C, Nau H (2001). “Peroxisome proliferator-activated receptor delta is a specific sensor for teratogenic valproic acid derivatives”. Eur J Pharmacol. 431 (1): 25–33. doi:10.1016/S0014-2999(01)01423-6. PMID 11716839. ^ Maguire JH, Murthy AR, Hall IH (1985). “Hypolipidemic activity of antiepileptic 5-phenylhydantoins in mice”. Eur J Pharmacol. 117 (1): 135–8. doi:10.1016/0014-2999(85)90483-2. PMID 4085542. ^ Hall IH, Patrick MA, Maguire JH (1990). “Hypolipidemic activity in rodents of phenobarbital and related derivatives”. Arch Pharm (Weinheim). 323 (9): 579–86. doi:10.1002/ardp.19903230905. PMID 2288480. ^ Frigerio F, Chaffard G, Berwaer M, Maechler P (2006). “The antiepileptic drug topiramate preserves metabolism-secretion coupling in insulin secreting cells chronically exposed to the fatty acid oleate”. Biochem Pharmacol. 72 (8): 965–73. doi:10.1016/j.bcp.2006.07.013. PMID 16934763. ^ Kaminski, R. M.; Rogawski, M. A.; Klitgaard, H (2014). “The potential of antiseizure drugs and agents that act on novel molecular targets as antiepileptogenic treatments”. Neurotherapeutics. 11 (2): 385–400. doi:10.1007/s13311-014-0266-1. PMC 3996125. PMID 24671870. ^ a b c Abou-Khalil BW (2007). “Comparative Monotherapy Trials and the Clinical Treatment of Epilepsy”. Epilepsy Currents. 7 (5): 127–9. doi:10.1111/j.1535-7511.2007.00198.x. PMC 2043140. PMID 17998971. ^ Plosker, GL (November 2012). “Stiripentol : in severe myoclonic epilepsy of infancy (dravet syndrome)”. CNS Drugs. 26 (11): 993–1001. doi:10.1007/s40263-012-0004-3. PMID 23018548. ^ Browne TR (May 1976). “Clonazepam. A review of a new anticonvulsant drug”. Arch Neurol. 33 (5): 326–32. doi:10.1001/archneur.1976.00500050012003. PMID 817697. ^ Isojärvi, JI; Tokola RA (December 1998). “Benzodiazepines in the treatment of epilepsy in people with intellectual disability”. J Intellect Disabil Res. 42 (1): 80–92. PMID 10030438. ^ Tomson, T; Svanborg, E; Wedlund, JE (May–Jun 1986). “Nonconvulsive status epilepticus”. Epilepsia. 27 (3): 276–85. doi:10.1111/j.1528-1157.1986.tb03540.x. PMID 3698940. ^ Djurić, M; Marjanović B; Zamurović D (May–Jun 2001). “[West syndrome–new therapeutic approach]”. Srp Arh Celok Lek. 129 (1): 72–7. PMID 15637997. ^ French, J; Smith, M; Faught, E; Brown, L (12 May 1999). “Practice advisory: The use of felbamate in the treatment of patients with intractable epilepsy: report of the Quality Standards Subcommittee of the American Academy of Neurology and the American Epilepsy Society”. Neurology. 52 (8): 1540–5. doi:10.1212/WNL.52.8.1540. PMID 10331676. Archived from the original on 12 May 2013. Retrieved 19 May 2013. ^ “Felbamate”. MedlinePlus : U.S. National Library of Medicine. Retrieved 19 May 2013. ^ French JA, Kanner AM, Bautista J, et al. (May 2004). “Efficacy and tolerability of the new antiepileptic drugs, I: Treatment of new-onset epilepsy: report of the TTA and QSS Subcommittees of the American Academy of Neurology and the American Epilepsy Society”. Epilepsia. 45 (5): 401–9. doi:10.1111/j.0013-9580.2004.06204.x. PMID 15101821. ^ Eadie MJ, Bladin PF (2001). “A Disease Once Sacred: a History of the Medical Understanding of Epilepsy”. ^ a b c d e f g h i j k l m n o p q r Epilepsy Action: Druglist. Retrieved on 1 November 2007. ^ Schain, Richard J. (1 March 1978). “Pediatrics—Epitomes of Progress: Carbamazepine (Tegretol) in the Treatment of Epilepsy”. Western Journal of Medicine. 128 (3): 231–232. PMC 1238063. PMID 18748164. ^ a b c d e f g h i j k l m Loiseau, Pierre Jean-Marie (June 1999). “Clinical Experience with New Antiepileptic Drugs: Antiepileptic Drugs in Europe”. Epilepsia. 40 (Suppl 6): S3–8. doi:10.1111/j.1528-1157.1999.tb00925.x. PMID 10530675. ^ a b EPAR: Keppra. Archived 19 June 2009 at the Wayback Machine Retrieved on 1 November 2007. ^ Dodson, W. Edwin; Giuliano Avanzini; Shorvon, Simon D.; Fish, David R.; Emilio Perucca (2004). The treatment of epilepsy. Oxford: Blackwell Science. xxviii. ISBN 978-0-632-06046-7. ^ a b EPAR: Lyrica Archived 21 June 2009 at the Wayback Machine Retrieved on 1 November 2007. ^ a b EPAR: Diacomit. Archived 26 December 2009 at the Wayback Machine Orphan designation: 5 December 2001, full authorisation: 4 January 2007 Retrieved on 1 November 2007. ^ “NDA: 020646”. DrugPatentWatch. Retrieved 19 May 2013. ^ a b c d e Harden CL, Pennell PB, Koppel BS, et al. (May 2009). “Management issues for women with epilepsy—focus on pregnancy (an evidence-based review): III. Vitamin K, folic acid, blood levels, and breast-feeding: Report of the Quality Standards Subcommittee and Therapeutics and Technology Assessment Subcommittee of the American Academy of Neurology and the American Epilepsy Society”. Epilepsia. 50 (5): 1247–55. doi:10.1111/j.1528-1167.2009.02130.x. PMID 19507305. ^ Weston, Jennifer; Bromley, Rebecca; Jackson, Cerian F.; Adab, Naghme; Clayton-Smith, Jill; Greenhalgh, Janette; Hounsome, Juliet; McKay, Andrew J.; Tudur Smith, Catrin (2016-11-07). “Monotherapy treatment of epilepsy in pregnancy: congenital malformation outcomes in the child”. The Cochrane Database of Systematic Reviews. 11: CD010224. doi:10.1002/14651858.CD010224.pub2. ISSN 1469-493X. PMID 27819746. ^ a b c Bromley, Rebecca; Weston, Jennifer; Adab, Naghme; Greenhalgh, Janette; Sanniti, Anna; McKay, Andrew J; Tudur Smith, Catrin; Marson, Anthony G (2014). “Treatment for epilepsy in pregnancy: neurodevelopmental outcomes in the child”. Reviews (10): CD010236. doi:10.1002/14651858.CD010236.pub2. PMID 25354543. ^ Jazayeri, Dana; Graham, Janet; Hitchcock, Alison; O’Brien, Terence J.; Vajda, Frank J.E. (2018). “Outcomes of pregnancies in women taking antiepileptic drugs for non-epilepsy indications”. Seizure. 56: 111–114. doi:10.1016/j.seizure.2018.02.009. ISSN 1059-1311. PMID 29471258. ^ George, Ilena C. (2017). “Practice Current: How do you treat epilepsy in pregnancy?”. Neurology: Clinical Practice. 7 (4): 363–371. doi:10.1212/cpj.0000000000000387. ISSN 2163-0402. PMC 5648199. PMID 29185530. ^ Bittigau P, Sifringer M, Genz K, et al. (May 2002). “Antiepileptic drugs and apoptotic neurodegenereation in the developing brain”. Proceedings of the National Academy of Sciences of the United States of America. 99 (23): 15089–94. doi:10.1073/pnas.222550499. PMC 137548. PMID 12417760. ^ Manthey D, Asimiadou S, et al. (Jun 2005). “Sulthiame but not levetiracetam exerts neurotoxic effect in the developing rat brain”. Exp Neurol. 193 (2): 497–503. doi:10.1016/j.expneurol.2005.01.006. PMID 15869952. ^ Katz I, Kim J, et al. (Aug 2007). “Effects of lamotrigine alone and in combination with MK-801, phenobarbital, or phenytoin on cell death in the neonatal rat brain”. J Pharmacol Exp Ther. 322 (2): 494–500. doi:10.1124/jpet.107.123133. PMID 17483293. ^ Kim J, Kondratyev A, Gale K (Oct 2007). “Antiepileptic drug-induced neuronal cell death in the immature brain: effects of carbamazepine, topiramate, and levetiracetam as monotherapy versus polytherapy”. J Pharmacol Exp Ther. 323 (1): 165–73. doi:10.1124/jpet.107.126250. PMC 2789311. PMID 17636003. ^ Forcelli PA, Kim J, et al. (Dec 2011). “Pattern of antiepileptic drug-induced cell death in limbic regions of the neonatal rat brain”. Epilepsia. 52 (12): e207–11. doi:10.1111/j.1528-1167.2011.03297.x. PMC 3230752. PMID 22050285.